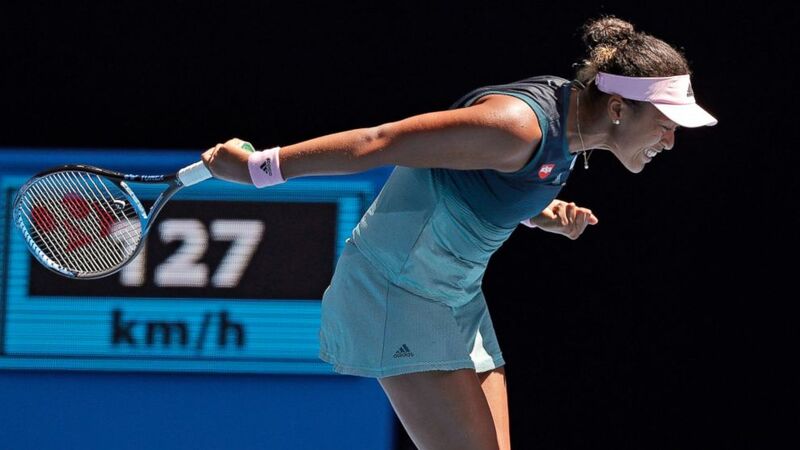 One of Naomi Osaka’s main sponsors has taken down an online ad campaign that depicts the Japanese tennis player with pale skin after it was criticized as insensitive. Daisuke Okabayashi, a spokesman for Japanese noodle-maker Nissin Foods Holdings, said Thursday that two animation clips, which went up earlier this month, were deleted from the company’s online site Wednesday. The clips showed a light-skinned, doe-eyed woman in the trademark style of Japanese manga, or comics. Critics said the depiction did not fully reflect Osaka’s biracial background — Osaka has a Haitian father and Japanese mother. Okabayashi said the ads had prior approval from Osaka’s agent, but the company was later asked to take the ad down. He said the company continues to support Osaka and did not want the flap to be a distraction. Osaka’s appeal has been growing in Japan since she beat Serena Williams in last year’s U.S. Open. She has been topping daily news coverage as she has advanced to the semifinals in the ongoing Australian Open. This is not the first time Japan has been criticized for insensitivity to diversity issues, including race, nationality, gender and sexual orientation. Osaka’s visibility and natural charm are seen as contributions to Japan’s acceptance of racial and other differences.